Yes to all the red, white and blue! This dress is so perfect for the Fourth, I love how long and flowy it is! And that bag! So Americana!! I’m sorry about the no internet. It really is like living in the dark ages without it. Hope you guys had a great weekend and Happy Monday, Shauna! This look would be perfect for the fourth of July!! You are an all American gal through and through!! Little Miss BEAUTIFUL is what you are!! So pretty in red and that Gucci bag is da bomb!! Have a SUPER start to your week! 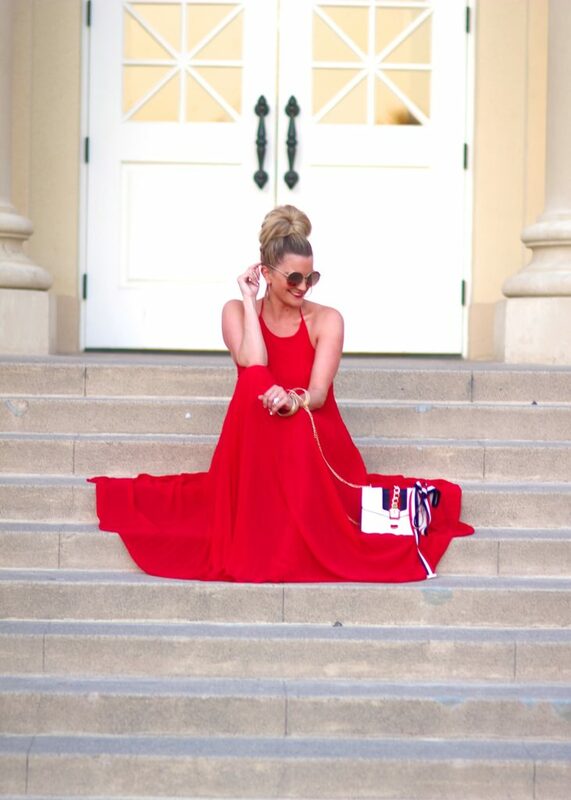 Such a fabulous dress and the perfect outfit for the 4th of July! So perfect! As well as your blog title…you are way too creative! I love how elegant this outfit is for the 4th of July. Wow gorgeous dress! You look so pretty! You look gorgeous in this dress! Love it! That dress is so pretty!! I love how flowy it is. This red dress looks amazing on you girl! I love the movement of the shots! lovely dress and I love the bag too. You look so great in red. Yaasssss Lady! So patriotic and so chic! Obsessed with your bag! your dress is absolutely amazing and i love it paired with the bag too. Girl, you are fabulous in red! This is such a great 4th of July outfit! And perfect maxi dress for summer too! 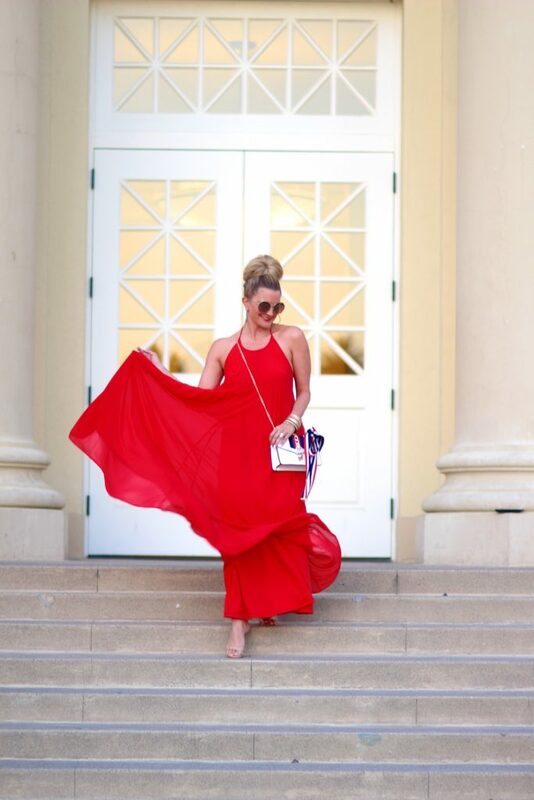 Beautiful red and perfect for fourth of july look ! girl ! that look stunning on your skin tone . This dress is stunning! I love the flowy airy skirt and that purse is just adorable! This dress is stunning! I love the flowy airy skirt and that purse is just adorable. That dress looks amazing on you dear. Love the vibrant color and the breezy and flowy style, looks so pretty on you! Your face and derss both are beautiful.